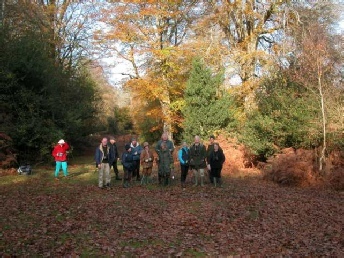 A small group of members visited Brownsea to see the Red Squirrels and hear about the long running project to eliminate the Rhododendron that had smothered much of the island. 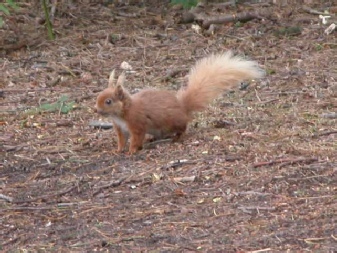 The squirrels obligingly turned out to provide excellent viewing. Autumn colours were late developing in 2011 so the walk was postponed until they had fully developed. A group of us enjoyed fine weather and brilliant colours as well as seeing a number of woodland fungi despite the dry autumn. This was followed by tea with homemade teacakes at the New Forest Inn at Emery Down. We try to visit the New Forest in Autumn most years (see programme). 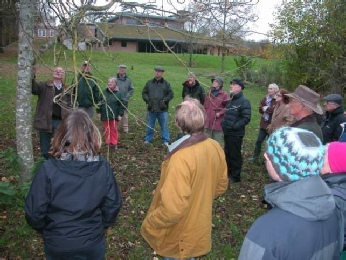 A large group of members and friends attended this demonstration by Nigel Hewish of how to prune a range of trees from native species to fruit trees. Some of us may now feel confident to have a go ourselves! 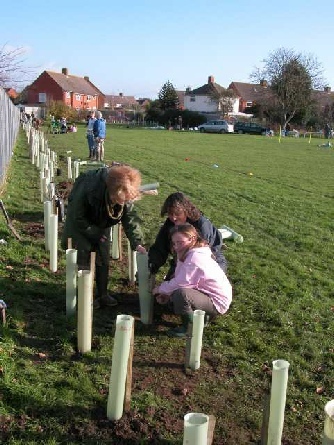 Mary-Ann Featherstone our former schools project leader asked if we could help plant a hedge at Somerford Primary School to the east of Christchurch. 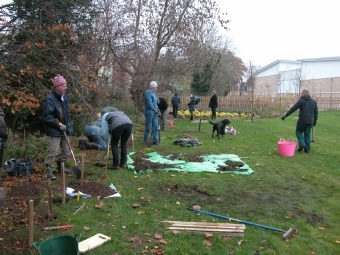 This went very well with members helping pupils and parents plant the hedge. 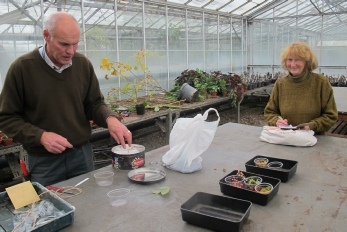 Nigel Hewish demonstrates how to propagate trees. 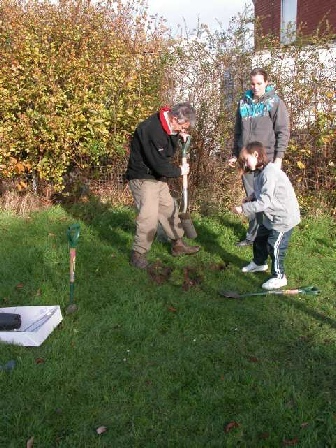 Planting trees near Waitrose, Wimborne. 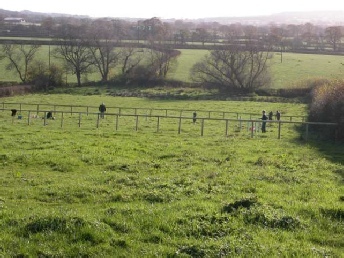 On Nov 26, 2011 a group of members helped plant more trees for Rupert Emerson at Orchard Farm, Wonston, Hazelbury Bryan. The photo may show a landscape sparse in trees but wait and see how this develops. 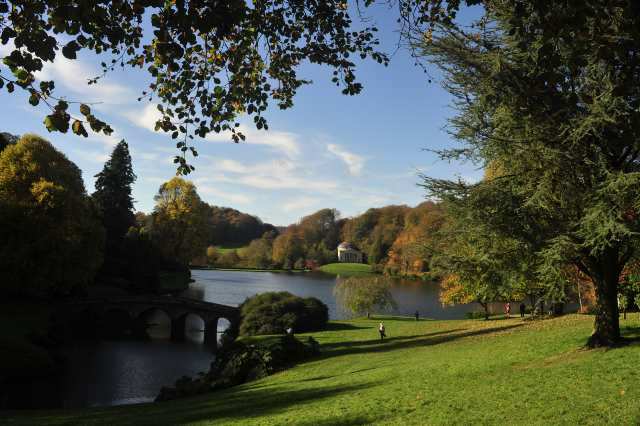 Visit to Stourhead in Autumn 2017, what fantastic colours! 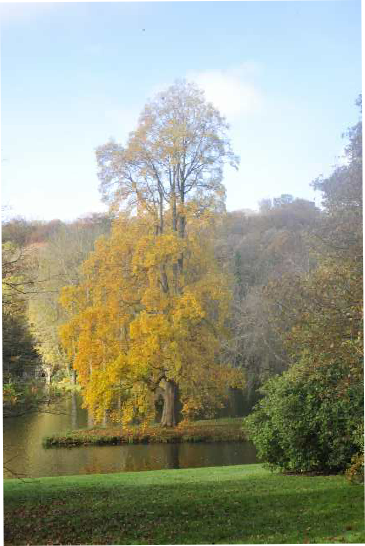 A Tulip Tree on an island in the lake at Stourhead.